At least 215 people were killed and 180 others injured Wednesday in a spate of attacks and bombings carried out by the Islamic State (IS) in Syrian's southern province of Sweida, according to the Health Department of Sweida. 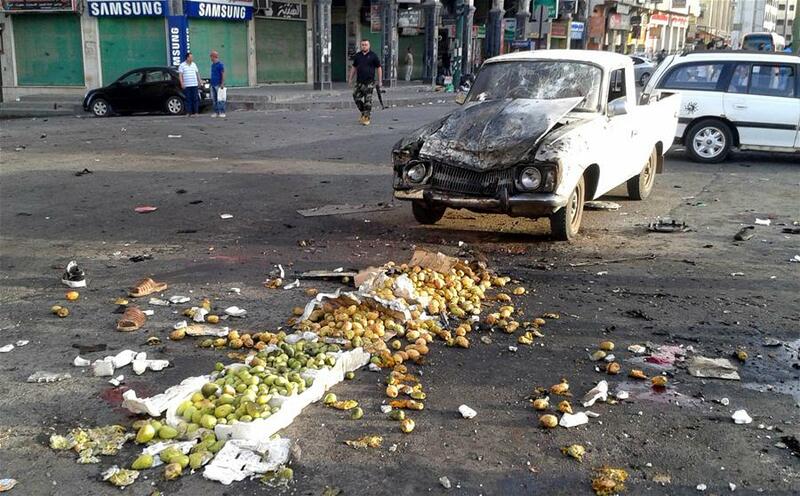 The high death toll includes victims killed by three suicide bombings in Sweida, and those who held arms to face the IS attacks on towns in the northeastern countryside of Sweida. The Syrian Observatory for Human Rights said 30 IS militants, including the suicide bombers, were killed in Wednesday's attacks. Earlier in the day, a series of explosions, which were carried out by IS, rocked several parts of the city of Sweida. State media outlets said the two bombers were killed while being hunted down at the time of early explosions. The suicide bombings came in tandem with attacks by the IS militants on towns in the northeastern countryside of Sweida after dawn Wednesday. People carried arms to confront the IS attacks in the countryside of Sweida amid reports that the army, with help of locals, succeeded in pushing back IS from some of their areas they entered. While the countryside of Sweida has witnessed battles between rebels, including IS, and the Syrian army, the city of Sweida has remained largely calm during Syria's seven-year-long war as it is inhabited by people of the Druze minority, who are loyal to Syrian President Bashar al-Assad's rule. The IS attacks and bombings in Sweida have come to divert the attention of the Syrian army and release the pressure on the IS-held areas in the nearby western countryside of Daraa province near the Israeli-occupied Golan Heights. The Syrian army has been relentlessly striking IS positions in the areas of Yarmouk basin in the western countryside of Daraa near the Israeli-occupied Golan Heights. The army has also been fighting against IS in the northeastern countryside of Sweida, as part of the Battle of the South, which includes battles against the rebels and IS in the countryside of Daraa, Sweida, and Quneitra. With the mediation and help of Russia, the army has already captured 90 percent of Daraa through battles and reconciliations as well as evacuation of rebels. The rebels in Quneitra near the Golan Heights have also accepted to leave their areas toward rebel-held places in northern Syria. In the eastern countryside of Sweida, some areas in the remote eastern countryside are under IS control. After Wednesday's attack, some tribal leaders in Sweida said hundreds of young men are ready to take part in defeating IS in the areas they stormed in the countryside of Sweida.